Kelly Russ is a Vancouver Family Lawyer that services Metro Vancouver which includes Vancouver, Surrey, North Vancouver, New Westminster and Burnaby. Kelly Russ accepts Legal Aid referrals for family law matters and child protection matters. The primary consideration in determining custody, guardianship and access is section 24 of the Family Relations Act, R.S.B.C. 1996, c. 128, which requires a judge to consider the “best interests” of a child when determining custody, guardianship and access. Changing An Access Order is also based upon what is in the “child’s best interest”. This is also referred to as Variation of an Access Order. (e) the capacity of each person to whom guardianship, custody or access rights and duties may be granted to exercise those rights and duties adequately. (1.1) The references to “other persons” in subsection (1) (c) and to “each person” in subsection (1) (e) include parents, grandparents, other relatives of the child and persons who are not relatives of the child. (2) If the guardianship of the estate of a child is at issue, a court must consider as an additional factor the material well being of the child. (3) If the conduct of a person does not substantially affect a factor set out in subsection (1) or (2), the court must not consider that conduct in a proceeding respecting an order under this Part. (4) If under subsection (3) the conduct of a person may be considered by a court, the court must consider the conduct only to the extent that the conduct affects a factor set out in subsection (1) or (2). It is clear from sub-section 24(1) of the FRA that the paramount consideration in the determination of child custody is the best interests of the child. This is the principal determination to be made in cases involving custody, and the trial judge must consider numerous factors, in particular those stated in the FRA: Van de Perre v. Edwards, 2001 SCC 60 (CanLII),  2 S.C.R. 1014, 2001 SCC 60 at ¶ 9. Sub-sections 23(3) and 23(4) of the FRA authorize a court to consider the conduct of the parents, but only insofar as it impacts on one of the factors listed in subsection 24(1): Van de Perre v. Edwards at ¶ 9. Unfortunately, much of the evidence of the parties in this case was directed to the unfit character of the other parent, and not to the best interests of the child. In general terms, the plaintiff cites various cases to support the propositions that the court should consider various types of parental conduct when determining custody and access, including: being hostile, coaching children to make false allegations, making unsubstantiated allegations unsupported by the evidence, making false allegations to professionals, engaging in character assassination, demeaning the other party in front of the children, attempting to hinder or poison relationships between the children and the other party, acting selfishly, dishonestly or being unstable, or denying access to the other parent: see Lin v. Lin 1992 CanLII 2216 (BC C.A. ), (1992), 38 R.F.L. (3d) 246 (B.C.C.A. ); Van Gool v. Van Gool1993 CanLII 1569 (BC C.A. ), (1993), 1 R.F.L. (4th) 20 (B.C.C.A. ); Nuzzo v. Knight,  B.C.J. No. 1383 (S.C.), aff’d  B.C.J. No. 2195 (C.A.) (QL); Tremblay v. Tremblay1987 CanLII 147 (AB Q.B. ), (1987), 82 A.R. 24, 10 R.F.L. (3d) 166 (Q.B. ); Fry v. Fry,  B.C.J. No. 1204 (S.C.) (QL); R.A. v. T.J., 2005 BCPC 467 (CanLII), 2005 BCPC 467; B.A.C. v. D.L.C.2003 BCCA 672 (CanLII), (2003), 48 R.F.L. (5th) 15, 2003 BCCA 672; Pugachev v. Pugachev, 2006 BCSC 30 (CanLII), 2006 BCSC 30. I agree that these factors will be relevant considerations in determining where the best interests of the child lie, but again reiterate that the conduct of the parents is relevant only insofar as it impacts on one of the factors listed in sub-section 24(1) of the FRA: see FRA ss. 24(3) and (4). Further, each case will turn on its own particular facts. The issue of whether joint custody should be awarded can be a difficult one where there is tension in the relationship between the parties, but both are capable parents. In this case, despite the behaviour of the parents towards each other, the evidence satisfies me that both parents have good relationships with M. It is in M.’s interest to continue to have a strong relationship with both parents. This is the most important factor in this particular case. 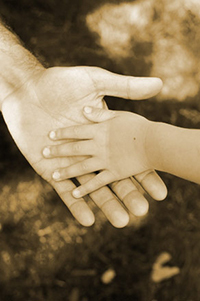 The issue of whether joint custody should be awarded has been discussed in a number of cases. There are no presumptions for or against joint custody, and there is no threshold test to establish that joint custody is feasible—each case must be decided on its individual facts: Robinson v. Filyk1996 CanLII 3310 (BC C.A. ), (1996), 84 B.C.A.C. 290, 28 B.C.L.R. (3d) 21 at ¶ 20-30; M.J.S. v. L.S., 2001 BCSC 820 (CanLII), 2001 BCSC 820 at ¶ 154; L.E.G. v. A.G., 2002 BCSC 970 (CanLII), 2002 BCSC 970 at ¶ 33. The ability of the parties to communicate, while not determinative of the issue of whether joint custody should be awarded, is an important factor to be considered by the court: see Massaar v. Klotild-Houser,  B.C.J. No. 196 at ¶ 15-21 (S.C.) (QL). That case discussed the decisions of the Court of Appeal in Stewart v. Stewart1994 CanLII 2104 (BC C.A. ), (1994), 41 B.C.A.C. 213, 2 R.F.L. (4th) 53 and Robinson v. Filyk, supra, and concluded that while there is no presumption in favour of sole custody, the presence or absence of an adequate degree of communication to make joint custody workable is a factor to be considered in deciding whether to award joint custody. See also Gordo v. Gordo,  B.C.J. No. 2685 at ¶ 15-16 (S.C.) (QL), where MacKenzie J. awarded joint custody where the relationship of the parties was strained but not acrimonious. In proceedings under the Family Relations Act the court must not consider the conduct of a person, unless, it substantially affects a factor set out in s. 24(1) or (2). Further in P.V. v. D.B. and Van de Perre v. Edwards,  2 S.C.R. 1014, 2001 SCC 60, it is stated that, where a parent and custodial applicant harbours significant animosity, negative distorted views towards the other parent that such views are “incompatible with [a child’s] best interests” and that a child needs to have “the opportunity for developing strong relations with both parents”. A child should be placed in the custody of the parent who will promote the child’s relationship with both parents.